There's just something I love about traveling! Perhaps it's the people watching or the excitement if the destination or the new foods and sounds and sights. Or maybe it's the old familiar sounds and sights while en route to a new destination. Like today for example. Our layover was in Dallas, TX. And since Texas was the homeland of my youth it's always like going home whenever I'm there. Today, I couldn't help but have lunch at Pappadeaux's-one of my family's favorite seafood places since forever. I had the usual: crawfish étouffée and it did not disappoint. Even though we were in Dallas for only a couple of hours it was still nice to be home for a short while and get my Texan seafood fix! The afternoon flight to San Salvador, El Salvador was stunning. I got to sit in my fav-the window seat. The plane walls are a great pillow for afternoon naps and I always love to look out the window when I need a break from my reading (I started 'The Hole in Our Gospel: What Does God Expect of Us?' on this flight). Today's sky scenery also did not disappoint. All in all it's been a wonderful day of traveling! I'm excited to see what our destination holds for us! Jamaica is a gorgeous Caribbean island nation located 600 miles south of Florida and 600 miles east of mainland Central America. Cuba lies directly to the north and Haiti to the east. Jamaica is adorned with beautiful sandy beaches, is host to the Blue Mountains and is infamous for rich coffee beans and reggae music. Kingston, the capital of Jamaica, is one of the Caribbean’s largest cities. Perched on the edge of the world’s 7th largest natural harbor, Kingston’s population comprises nearly 1 million people. This is approximately one-third of Jamaica’s 3 million inhabitants. Living space is at a premium in this capital city. As the inner-city population continues to swell, the government has begun to develop suburbs to relieve some of the tension and hardships that can result from such density. From new shopping malls and restaurants in “New” Kingston to the “projects” called Three Mile, metropolitan Kingston represents the diversity of modern Jamaica. Like most people, you'll be familiar with their famous cities like Montego Bay, Negril, and Ocho Rios, which are truly the “picture postcards” of Jamaica. While these tourist locations are beautiful, romantic, and tropical, they do not accurately represent everyday life for the vast majority of Jamaicans. The struggle to make a living and create a better tomorrow dominates day-to-day life for most natives. One of the places this is seen the most is in their adult infirmaries. If there are adults who cannot take care of themselves, they are placed in adult infirmaries, which are typically run by the government. These people are literally forgotten here. Their dignity is all but lost. They sit in their soiled diapers, have no visitors and are essentially left to die. But it's also felt in the reality that education is not highly valued, physical violence in the home is common and alcoholism is extremely prominent. "Hope" for most Jamaicans has long been forgotten. While tourists enjoy the beauty of the island, the residents struggle to make it day-to-day. 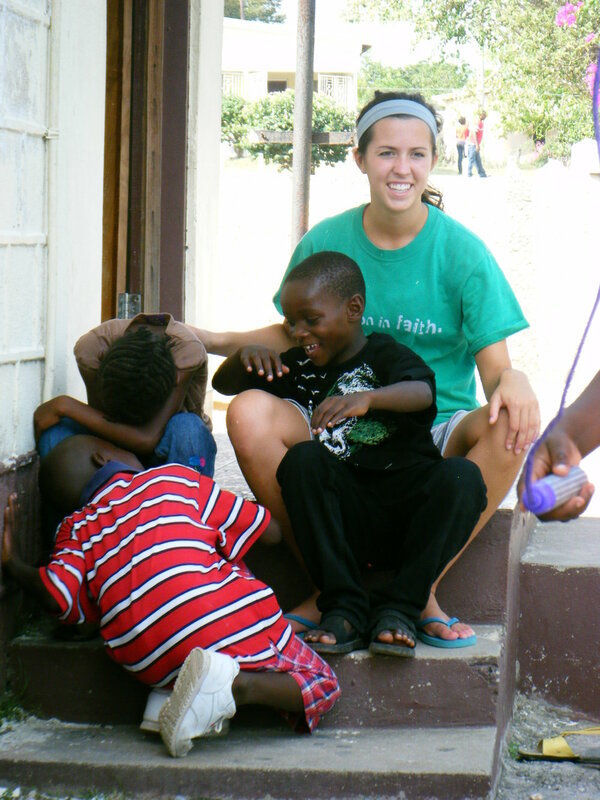 I was blessed beyond measure to travel to Jamaica in 2009 with a group of American high school students. They loved poverty-stricken children and adults left for the dead in a way that made my heart swell. As we worked together for a long week to remind the people of Jamaica that they have not been forgotten, I was encouraged that perhaps this up and coming generation of emerging leaders knows what it means that we are blessed to be a blessing.